Happy Friday lovelies!! The days sort of mushed together, but I did enjoy a mid-week change of pace and went home with my sister to see the three little loves of my life - my nieces and nephew! If you follow on SnapChat (@blovedboston) you may have seen some of the shenanigans!! We've got a fully loaded weekend and I seriously need to get down to business and pack! Trip starts in exactly ONE week, but before that happens sharing my favorites and linking up with Amanda and April. When Ashley shared these bacon cheddar crackers I knew what I would be making to snack on this weekend - hello perfect Super Bowl appetizer! I didn't really have any good walking shoes that weren't sneakers and when I stopped into Marshall's last weekend I found these Michael Kors beauties (updated style linked here)! They are incredibly comfortable - I got to break them in with our unseasonably warm temps on Monday and I can't wait to wear them again! 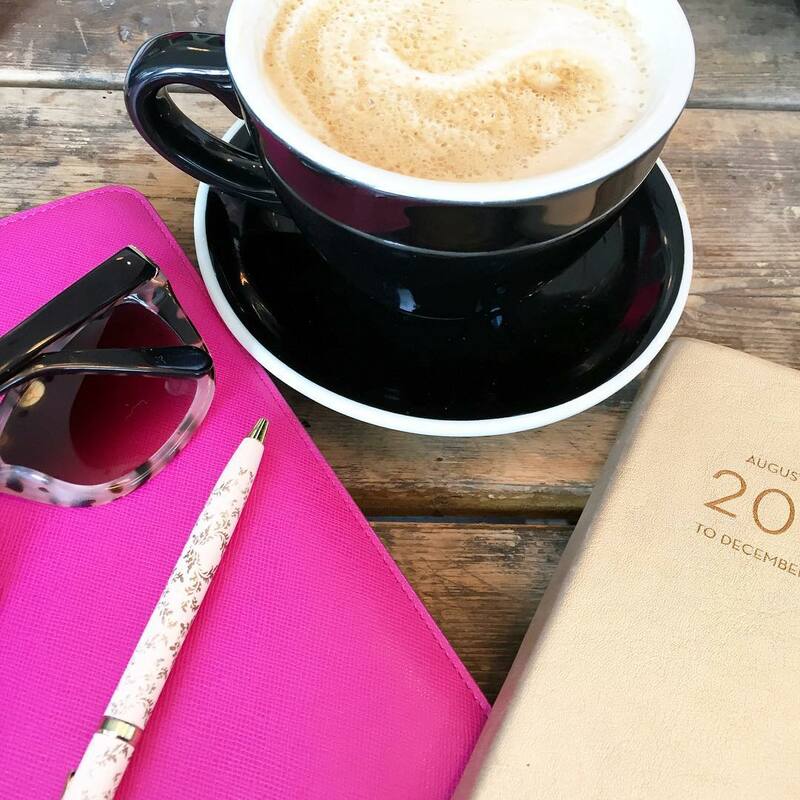 I have about 4 different notepads going at the same time at work and really want something that is centralized for tasks that have to be done every day or reminders! Finding a cute frame and white paper shouldn't be that hard to give this DIY a whirl! Hope you have a great weekend!! Stop by Monday for Weekending! Such a great Friday Favs! Perfect lil snack; those crackers! And hello cute MK walking shoes for your trip. I have never been A tennis shoes in travel girl so these are perfect!! Too funny as I have notepads going everywhere too especially work. Getting excited for you so I hope this weekend is productive but you get to relax a little too!! Love the shoes!!!! I can't wait to check out that architectural kitchen design too. Happy Friday!! Have a great weekend! The trip is coming up quick! I love those kitchen styling tips and kourtney and khloe's house. So unique and fabulous! That recipe looks DELICIOUS!!! And those shoes look cute! Hope they serve you well on your trip! So glad you got to spend some time with your family! Ashley's cheddar crackers would be perfect for a Super Bowl snack! Those MK shoes are adorable. They also look really comfortable. Have an awesome weekend! Oh wow, do those cheddar crackers look good! Might have to add that to my list for Sunday! I still need to find a copy of the magazine, I'm sure their houses are just gorgeous! Have a wonderful weekend! I love that DIY! So pretty, chic and best of all easy! Have a great weekend ! I am loving those espadrilles girl! I so need a similar pair! Thanks for sharing the crackers friend! :) I just clicked to view the Kardashian home and can’t wait to see them both. I know they’re going to be absolutely beautiful! Have the best weekend lady! I literally just jumped up & gasped at that movie trailer!!! I so loved the book... & its FINNICK :) I loved him in The Hunger Games movies too..
you just made my day turning me onto this! Me before you is great! I am so pumped for the movie! i wasn't interested in the movie either until that trailer! i think i've found my book to read on the plane! I love your new shoes!!! I have had Me Before You on my to read list forever now and that really makes me want to bump it up to priority!!! I am so jealous of the Kardashian closets!! Its not fair! Have a great weekend! How cute are those MK flats?! Adorable! I just LOVE Sam Claflin and Emilia Clarke so for them alone I will totally be seeing that movie! Happy Friday love! You know I'm drinking alllll the wine this weekend! So exciting your trip is so soon! I read Me Before You and enjoyed it, definitely looking forward to the movie. I think the actors they chose are perfect! I love that article about keeping the romance alive, for once it wasn't just like "pray for your husband", it actually gave good real life examples. I'd like to live in the Kardashians closet please! I'm going to have check out that architectural digest article! Talk about shoe closet goals! I'm sure you are so excited for your upcoming trip!! Can we talk about how amazing your sister's house is? Seriously, It's magazine worthy beautiful. I just saw the trailer for Me Before You and was like I need to read that book like right now. Love your new shoes, perfect for spring or even your upcoming trip. Although, I'm not really sure what it is like right now in Dubai and India. Dying to make those cheddar things that Ashley posted, they look divine! I hope you guys have a great weekend! 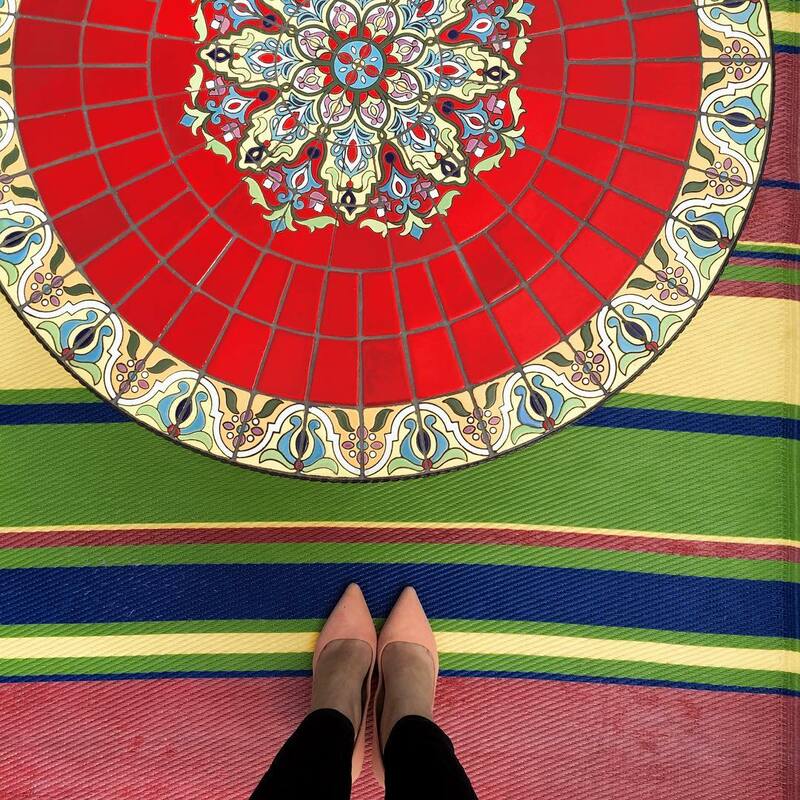 Love your new flats! And can I please have Khloe's closet?! Biana, love that cute quote about Friday and wine! I watched the movie trailer for You Before Me and it looks sooo good! 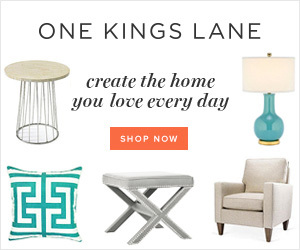 Great roundup of favorites! Have a great weekend! The Me Before You movie looks SO GOOD! I don't think I can read the book though - it's always one or the other for me & I really want to see that movie :) Happy Friday! seriously obsessed with both those kardashian homes i won't deny it! ugh someone come in and spend all the money on my non existent home haha. and how cute are those shoes! happy friday love! Those crackers that Ashley shared made me so hungry!! Haha. Those shoes are so cute too and I totally hear you on comfy walking shoes. It is a necessity when you live in a city!! Khole's closet looks amazing and I will have to check out those other articles. Thanks for sharing girl and I hope that you have a fabulous weekend!!! Niece and nephew time is the best!! 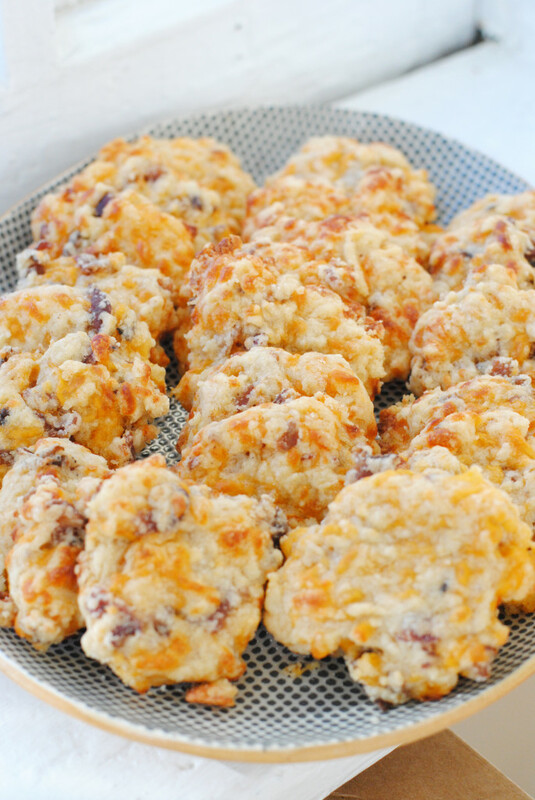 OMG, these bacon cheddar crackers look too good. Happy Weekend! I totally laughed at, you know what rhymes with Friday. Have a great weekend! 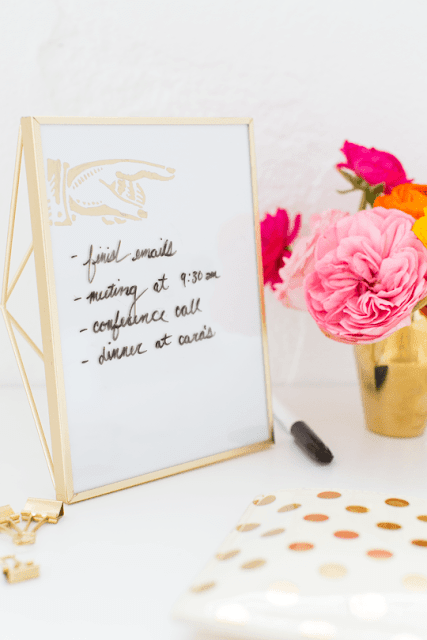 I love that DIY little memo board idea! Super simple, but really cute. And I just popped over to watch that trailer and I'm dying to see it! Love the actors and it looks so cute. Happy Friday, girl! I need to pick up a copy of that Architectural Digest ASAP! And I love the shoes you picked up. Happy Friday! Few things make me happier than comfortable walking shoes. Those shoes are fantastic I love those!! Those biscuits make me so happy and make me so hungry! I am in love with how we can finally see Khloe's Closet! I'm so excited for your trip - I can't believe it's so soon! I've never heard of Me Before You and I just saw that Jenn blogged about it too. I'm totally out of the loop! I can't wait for Superbowl food... those cheddar crackers look amazing! I love that print about wine! So cute!! How exciting! This next week is going to fly! Yum, definitely a winner for a super bowl snack! Anything with bacon is a win in my book! I need some good walking shoes that aren't tennis shoes too, and those are too cute! I will have to see if my Marshall's might have any. Have a good weekend, Biana! The only thing i'll spoil about Me Before You is that you will cry MULTIPLE times of both happiness and sadness and heart wrenching goodness. Definitely in my top 5 books of all time. Let me know after you finish it!! Happy friday! I bet those will make GREAT super bowl food! Enjoy! LOVE your new MK shoes, what a great find! I've read some many great reviews for Me Before You and feel like I have to read it before the movie comes out! And the Kardashian homes are so gorgeous, I loved it all! Your MK espadrilles are so cute! I felt the same way about Me Before You after seeing that trailer this week - I can't wait to read it now! Yeah those bacon cheddar crackers look unreal, ha! So tasty. I love some good walking flats! I need a new pair. I got mine about 8 months ago from Marshalls for only about $29! So worth it. Have a fun weekend!!! I just joined Snapchat so I'll add you now (that is, if I can figure out how to do it, haha). Those crackers look so tasty! Happy one week until vacation! I can't wait to take a peek into Kourtney and Khole's houses right now.. I saw the Kardashian home tour a couple days ago and I'm also loving it! Their homes are so expertly decorated, modern, and beautiful. Such a great combination! I'm definitely going to use that article for inspiration next time I have to furnish a room. Just added you on Snap! I'm not the most active user though. Those shoes are adorable and I bet you got them for a steal from Marshall's. I'm loving the fact that Marshall's now sells coach and MK stuff. Have a fab weekend lady! Me Before You is one of my favorite books! I hope you like it! The Kardashians' homes are seriously amazing. So modern and cool! I hope you have a great weekend! Me Before You has been sitting on my bookshelf for months! Now that I know the movie is coming out, maybe I'll be motivated to read it. I guess this little snow day we're having is the perfect excuse to start! Anything with the bacon/cheddar combo HAS to be delish ;) My dip this weekend is what I've been thinking about for days already haha! I had no idea Me Before You was becoming a movie. The book was pretty good. Hope you like it. I Loved Me Before You! I swear I read it in like 2 days. Always keeps you guessing -- I highly recommen dyou read it! Only one week to go!! You lucky girl! I can't wait to hear all about it! You guys are going to have the best time! Have a great weekend. 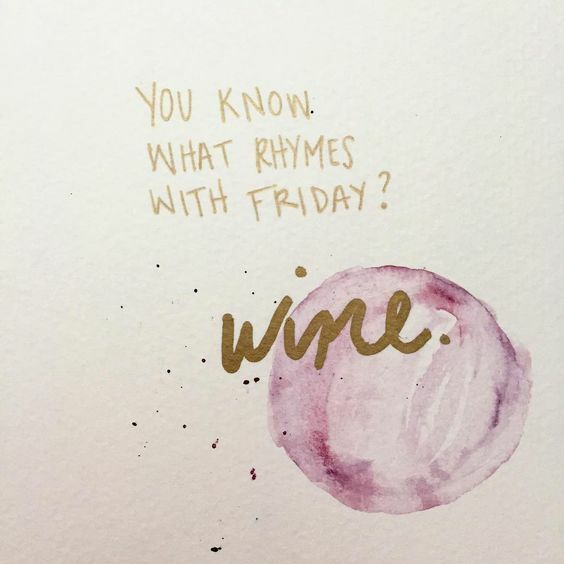 LOL, Friday does always rhyme with wine! I need to read me before you. Have a great weekend! Me Before You was so so so good! Easily one of my favorite books I read last year - I think you'll love it! Have a great weekend! Bacon cheddar crackers??!! Amazing. Have a great weekend, girl! Can't believe your trip is so soon!! Those crackers look delish! I'll have to check out that book. That Kardashian home tour was awesome! I just saw the trailer for that movie and already have the date marked in my calendar, looks so cute!! I'll have to read the book before that! Wine and Friday totally rhyme ;D! I'm like you- I hadn't been that interested in the book based on the plot I read about, but seeing that trailer totally changed my mind! I can't wait to read it now! Good luck packing! Oh my gosh I am so excited for your trip pics! Are you freaking out? It's so soon! I can't wait for Me Before You. LOVED the book. Love that little DIY! Such a cute idea! those shoes too make me excited for summer! Love the shoes! Perfect for your trip. Eek 1 week! Getting so close! Love the MK shoes, and I need to make those crackers! :) Yay for one week until vacation! omg! I can't believe you haven't read Me Before You yet! lol I think it's impossible not to love! So exciting your trip is so soon-- love the new shoes you picked up! Anddd pinning that bacon cheddar crackers recipe immediately. Looks amazing! Me Before You is an amazing book! I seriously cried so hard when it was over haha!!! You've got to read it ASAP, and once you start you won't be able to stop! The trailer is making me want to read the book, too! Cute new shoes! And you can't beat finding them at Marshalls - love when that happens! Those MK espadrilles are so cute! I'm constantly searching for good walking shoes that aren't tennis shoes too and I think you found a great pair! Those MK shoes look so cute and comfy! Hope you're having a lovely Sunday! That might be a DIY I can actually do! ha! Happy weekend. 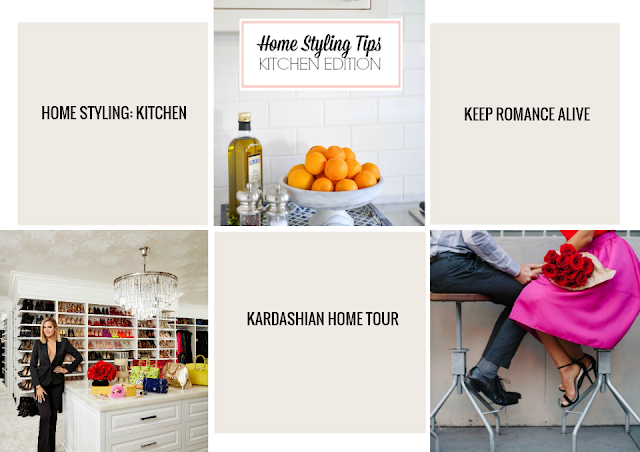 Love e shoes and off to read he kitchen home styling tips!! Wow! Khloe and Kourtney's home decor is on point. Thanks for sharing that spread! I feel like all I hear about these days is "Me Before You." I really need to read this book too! Those are all my favorites!! Love that recipe soo much! OMG the new shoes are so adorable and comfortable. I have to check out that movie and the links you mentioned, especially for the Kardashians sisters' closets. I bet they won't disappoint. A few days left till you leave for India. yeahhhh! Off to check out Kourt and Khloes home decor. Thanks for sharing this! Hope you had a wonderful weekend! oh wow, can't wait to see what you think of me before you the book :) i LOVED it. so hard. so amazing. those shoes are super cute! great alternative to sneakers. your trip is soon soon!